From the Owner, Please Read.. 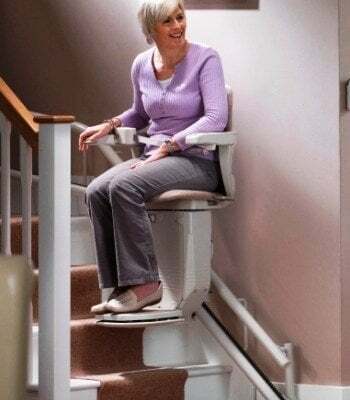 I would like to talk with you about shopping for a Stairlift. What I share with you here may save you a lot of time, effort. and frustration. It can be a very confusing and frustrating process. 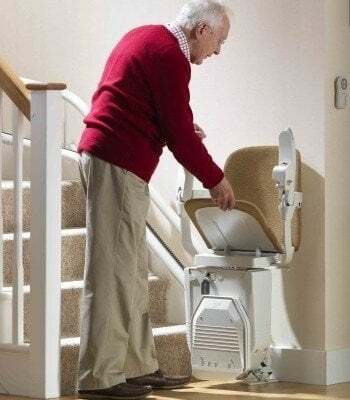 I am a Stairlift user myself, and have been for many years. and have been through this process multiple times. Perhaps I can give you some advice which will simplify the process and eliminate frustration. 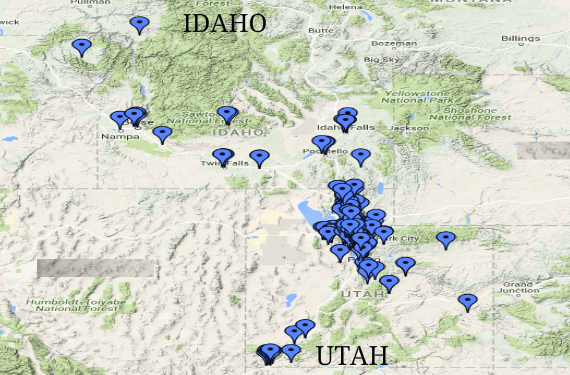 In Utah and Idaho there are 15 or 20 Companies selling about 12 brands of Stairlifts. 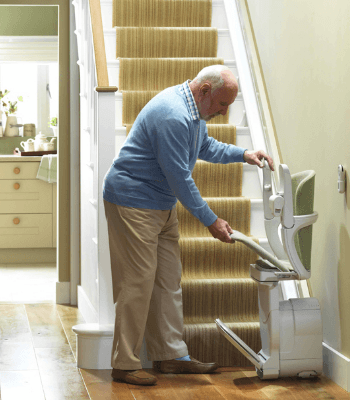 90% of the Stairlifts sold in the area are of 2 Brands, for several reasons. One of the reason is because of the Stairlifts, and their quality, and the various architecture of the home in which they are installed in. One of them is measurably better than the other. But there are only 2 brands that make the cut on quality and correct application as mentioned above. The other reason is the Companies that are selling the Stairlifts, and their representatives. To every one of them, Stairlifts are a sideline Business, the people and the policies of the business reflect that. The people you would deal with find stairlifts to be an interruption to their regular business operations , the knowledge and professionalism reflect that. 90% of the Stairlifts sold in the area are of 2 Brands, for several reasons. Medical Equipment Stores, who sell Stairlifts as a sideline. Oxygen Suppliers, who sell Stairlifts as a sideline. Hearing Aid Stores, who sell Stairlifts as a sideline. Wheelchair ramp Builders, who will sell you a stairlift, only when they can’t sell you a ramp. Home Re-modelers, General Contractors, and Handymen, who are really looking to sell you their services, a remodel or home modification. Walk in bathtub installers,who are really out to sell you a tub. 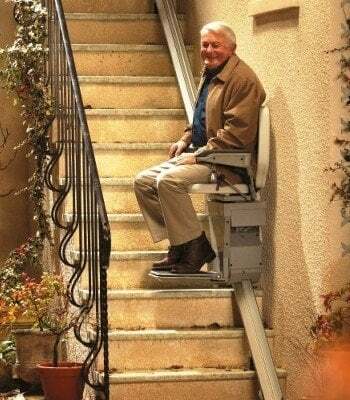 People who do not have any way for you to see and try their Stairlifts, or can offer to see ONLY in. a customers home. Elevator companies, who are looking to sell an very expensive elevator. Farm Implement companies, (this is not a joke), the list goes on & on. We will evaluate the users personal needs,and the stairways in the residence. We will then give you a written, no obligation recommendation which includes a guaranteed total cost. This is not an estimate. A word of caution. Never sign an estimate or give anyone any money. Your final price will always be more. Call us today, we will come right out to help you. The seat-to-footrest link makes folding easier & improves safety. A low footrest, sturdy arms and adjustable seat height. A premium design, with optional light or dark wood trim, contoured back and many more features. The ultimate combination of ease of use, and weather resistance for outdoor use. I mentioned that there are 2 Stairlift brands that represent 90% of the stairlifts sold in the marketplace. 801 298 3333 It is a Free Call. Safety is Stannah’s number one priority, and the best way to determine the safest solution is to have a free, no obligation home evaluation. 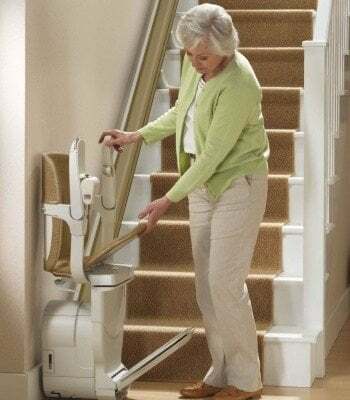 All Stannah stairlifts are professionally installed by a trained technician, for your safety. Many models and payment options. A family business since 1862. Making inquiries about stair lifts was new to me as I knew nothing about them. Only that I knew I had to start considering this option. But Mountain West Stairlifts put me at ease and gave me the information I required to make an informed decision. I now have enough knowledge to recognize the different brands and their benefits.